S Janaki gave beautiful melodies outside movies as well . She sang in Radio/television and a number of Private Albums . Her Classical Albums need special mention .Although she had minimal classical training , she rendered some of the most memorable semi classical songs in South India . She came up with three innovative albums as well . Thyagaraja Keerathana being the most successful among the three ,Classical songs with Sannayi and Nadha pravaham – Songs of Trinity are equally popular and melodious. She sang the songs of great Composers like Annamayya . Especially the songs under music of her relative Sri Balakrishna prasad are outstanding . The works they did together needs special notice. There were albums like Krishna ravali which were composed and sung by Janaki and written by Bala Krishna Prasad.He did some exclusive albums on songs of Annamayya with her . When Ramadasu trust started the project of Archiving all Keerthanas , they made sure S janaki is a part of it . Her Purandara dasa Keerthana’s in Kannada Movies were very popular. May be that provoked her to do some wonderful albums with his songs . Her Private Albums Like Pachani palleturu , Krishna ravali ,Sri rama Krishna ganamrutha varshini are a must listen for every music lover. She penned the songs in Ganamrutha Varshini album . 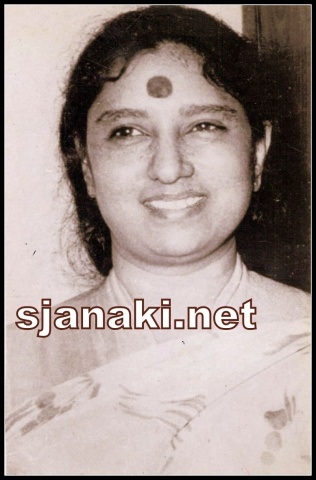 While Kanna Ne enge song remains the only song in movies which had S janaki as Lyricist , there were some noteworthy private songs which were written by her. Go to any temple in Karnataka during Ganesh Chathurthy , you will listen wonderful songs rendered by PBS ,S Janaki .Her devotional albums in Karanataka are immensely popular. Especially an album which she did in music of M Ranga Rao was such a hit that the Sangeetha Audios made the same album with same team in all 4 languages and it became a big success in all languages . Sangeetha Audios were backbone of S Janaki’s career out of Movies. They made wonderful albums with her, infact with almost all legendary singers. Her Ashatalakshmi vaibhavam ,Baghyada Lakshmi baramma etc.. are still hot cakes in Audio Shops. She rendered so many traditional hymns like Manthra Pushpam,Sahasara Namam,Ramayanam,Adithya Hrudayam , Gayathri manthram etcc… with a perfect diction. We @SJANAKI.NET try to explore as many albums as possible and take you on a melodious trip with Janaki amma’s Non film songs.